I Am Not a Serial Killer is the story of John Cleaver, a 15-year-old sociopath who works in a mortuary, dreams about death, and thinks he might be turning into a serial killer. He sets strict rules to keep himself “good” and “normal,” but when a real monster shows up in his town he has to let his dark side out in order to stop it–but without his rules to keep him in check, he might be more dangerous than the monster he’s trying to kill. Mr Monster John Wayne Cleaver has always known he has a dark side but he’s fought hard to oppress it and live a normal life – separating John from Mr Monster to survive. But after confronting and destroying the vicious killer that was terrorizing his town, his inner monster is getting stronger and harder to contain. With the police failing to catch Clayton County’s second serial killer John is going to have to use his secret knowledge of the first demon-killer to trap the second…but will he be able to avoid suspicion falling on him, and, in the face of extreme horrors, will he be able to restrain Mr Monster? I Don’t Want to Kill You a story about sixteen-year-old John Wayne Cleaver has always known he’s different, but not because he only has one friend (and doesn’t much like him) and not because he regularly helps out in his mother’s mortuary. 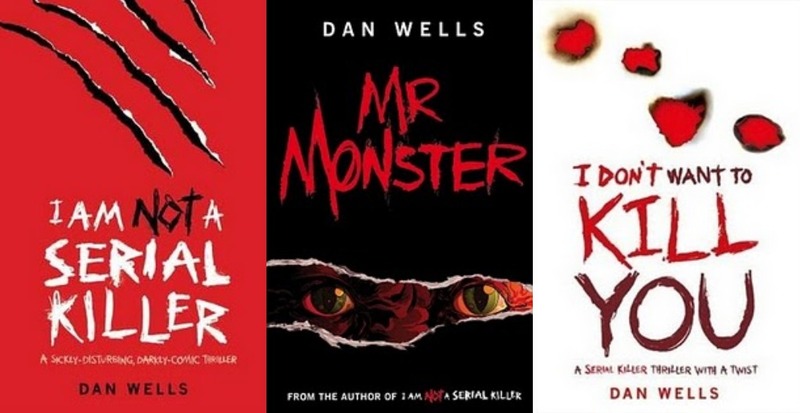 He’s different because he recognizes the classic signs of an incipient serial killer in his own personality, and he’s created a rigid set of rules to follow to keep his darker nature, the one he calls Mr Monster in check. To join in with the Friday Find, please click the picture below! Hardcover of Madame Tussaud and a pair of Marie Antoinette cupcake earrings from Michelle Moran! SASSY SPECIAL: Offer entitles you to all the benefits of Audible membership during your 14 day free trial, including: a free audiobook of your choice from our range of over 50,000 titles, exclusive member discounts, access to our popular Members’ Page, free gift downloads and more. If you decide that Audible isn’t right for you, you can cancel at any point and keep your free audiobook.